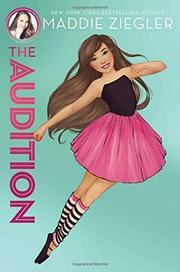 Ziegler (The Maddie Diaries, 2017), dancer and reality TV star, channels her experience into a new middle-grade novel. Twelve-year-old Harper McCoy is a young, white girl who loves to dance. Her life’s thrown for a loop when her family picks up stakes and relocates from Connecticut to Florida. Leaving behind the dance studio that has been her home away from home, she is nervous about joining a new team in a new town. Unfortunately, her new team has a well-established clique, the Bunheads, who make Harper’s transition to the new studio that much more difficult. Harper must find it in herself to empathize with her new teammates, to ingratiate herself with them, and come together as a team with them before their first competition. While the themes of loyalty, teamwork, and perspective-taking are all laudable, other more insidious themes are present and fail to be addressed in the text. For instance, Harper regularly struggles with perfectionism, yet this is treated as neutral if not positive rather than a potentially pathological trait that could be harmful to her mental well-being, interpersonal relationships, and even to her dance career. The ubiquity of social media and the behavior of highly competitive stage moms are likewise never addressed.